Its AV output function for easy viewing. Suitable for your family, for sending gift. 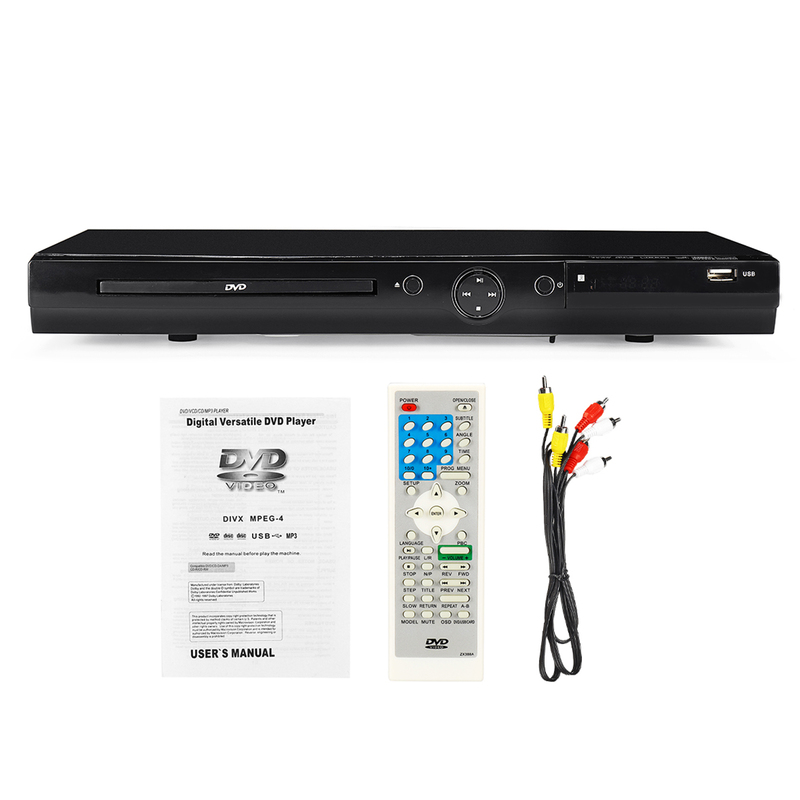 You can enjoy all your favourite films and content with this DVD Player. Powerfully versatile, the player supports not only multi region DVDs, but also CDs, and music, picture and video from USB. Also includes Multi-angle viewing and zoom, with full function remote. If you test a disc and does not read the disc, it is recommended to try it with another disc. The disc burned by the computer is not supported.